All three people on board a Dominion Airlines Desoutter died when it crashed near Wairoa in northern Hawke’s Bay. This was the first fatal accident involving a scheduled passenger air service in New Zealand. 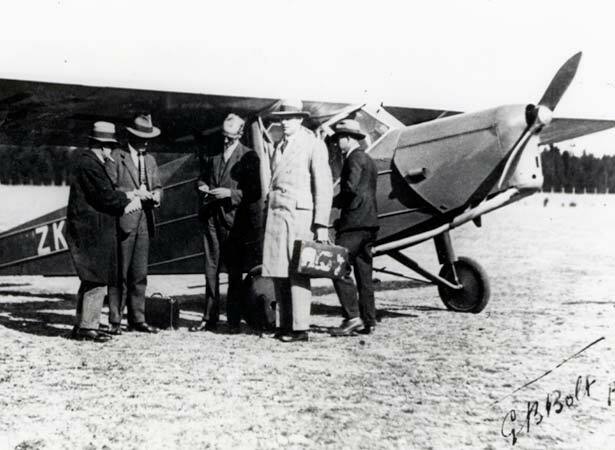 New Zealand’s first regular scheduled passenger service began in 1930, when Air Travel launched a tri-weekly service between Christchurch and Dunedin using a De Havilland DH50 borrowed from the government. Passenger numbers were low and, after nine months, Air Travel closed down. Soon afterwards, Dominion Airlines Ltd began a daily service between Gisborne and Hastings. This proved invaluable in keeping the areas ravaged by the Hawke’s Bay earthquake in contact with the rest of New Zealand. Unfortunately just five days after the earthquake, the company’s Desoutter II monoplane crashed after dropping a bag of telegrams in a field near Wairoa. After making the drop, the aircraft’s engine stalled and the Desoutter nosed-dived into nearby railway yards, killing pilot Ivan Kight and passengers Walter Findlay and W.C. Strand. The accident forced Dominion Airlines into liquidation. We have 9 biographies, 9 articles, related to First fatal accident on a scheduled air service in New Zealand .